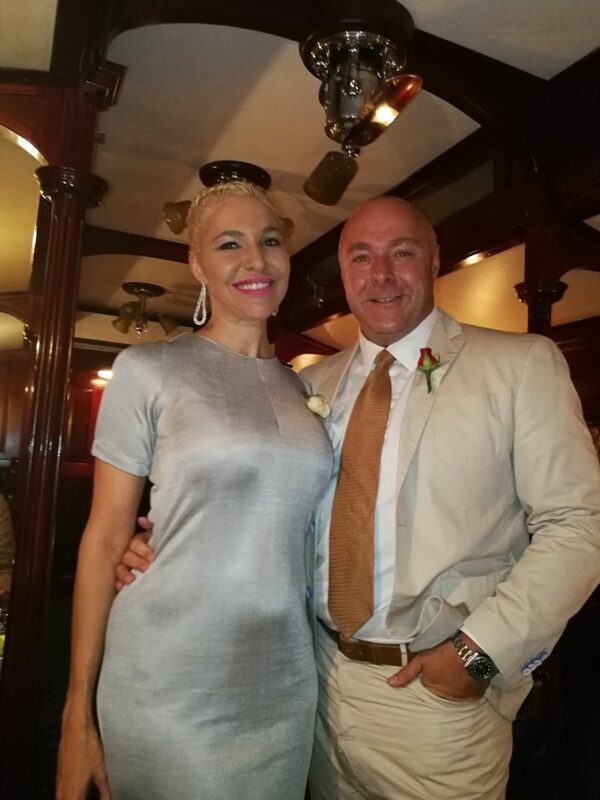 I’ve heard so much about the luxurious Rovos Rail, and finally, last weekend, I got a chance to travel onboard with my partner Mike Fannin. We had bought our tickets on auction at the 5forChange Gala dinner. 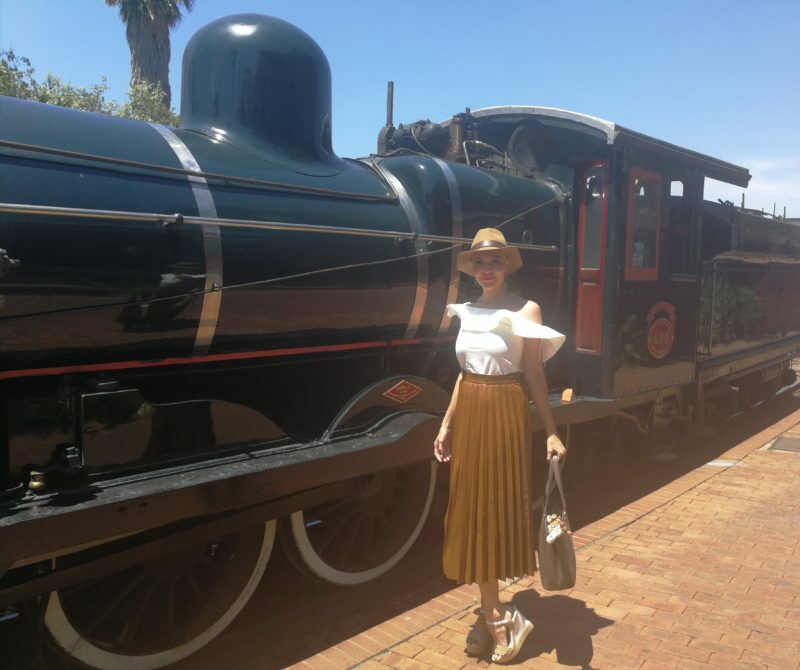 The trip starts at the Rovos Rail private station in Capital Park, Pretoria. It’s a gracious colonial-style railway station where one can enjoy afternoon tea before your departure. 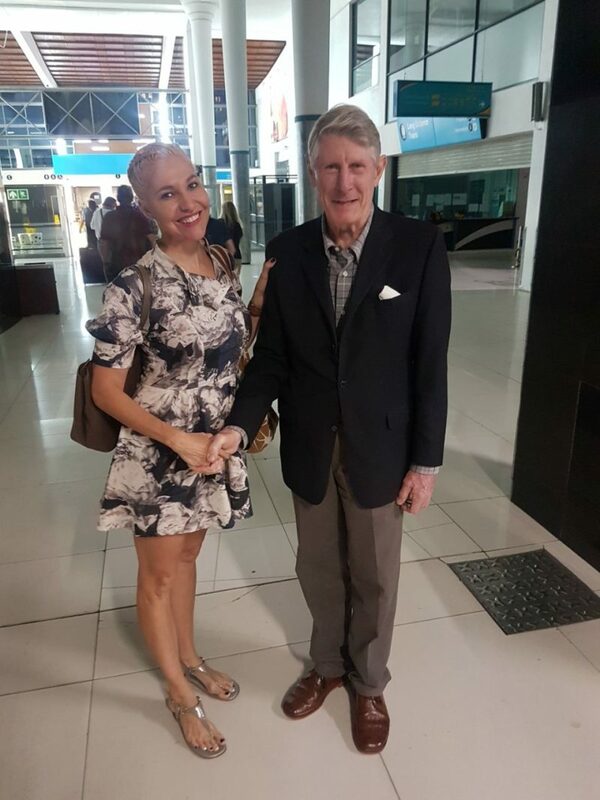 The CEO Of Rovos Rail, Rohan Vos, welcomed each one of us individually before we set off on our adventure and on arrival he was there to welcome us in Cape Town. I live in Cape Town, where we are currently experiencing level 6 water restrictions, it was great to hear Mr Vos warn fellow travelers about these restrictions, asking us to be mindful when we arrive in the Mother City. 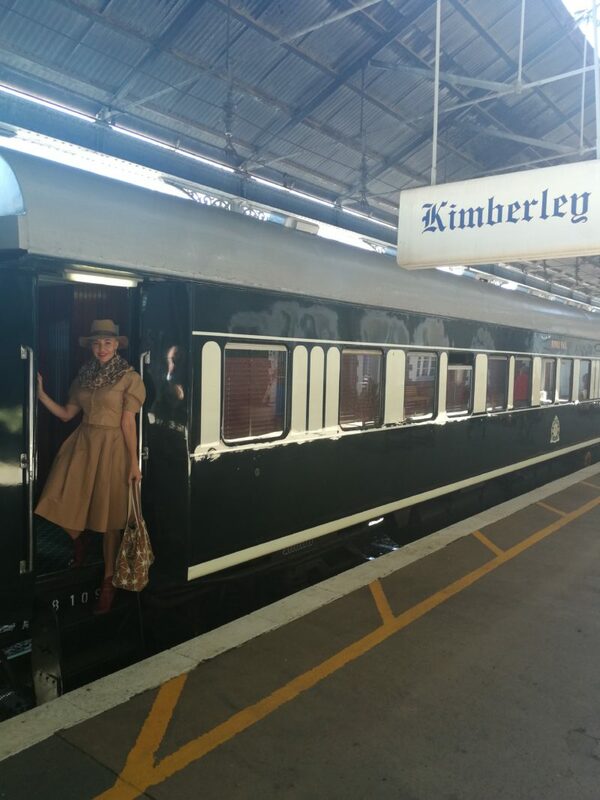 As I boarded the train, I was transported back in time, to where train travel was a way of life. Where the use of cellphones and laptops aren’t allowed except in your own room. This allowed for one to relax and spend time getting to know the other guests, and get a well deserved digital detox. 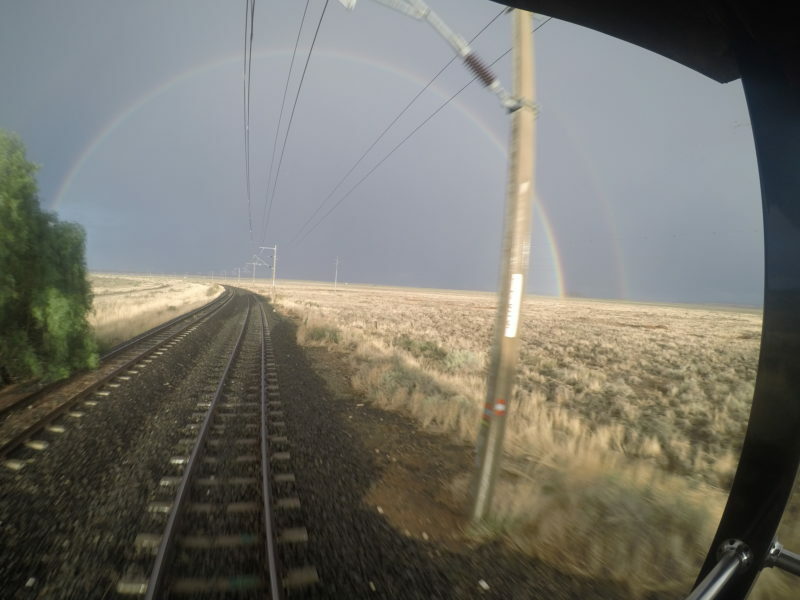 The 1 600-kilometre train trip through the beautiful country side of South Africa, with the scenery changing constantly, from Highveld, Karoo to spectator mountain ranges, winelands and ending with the view of Table Mountain. 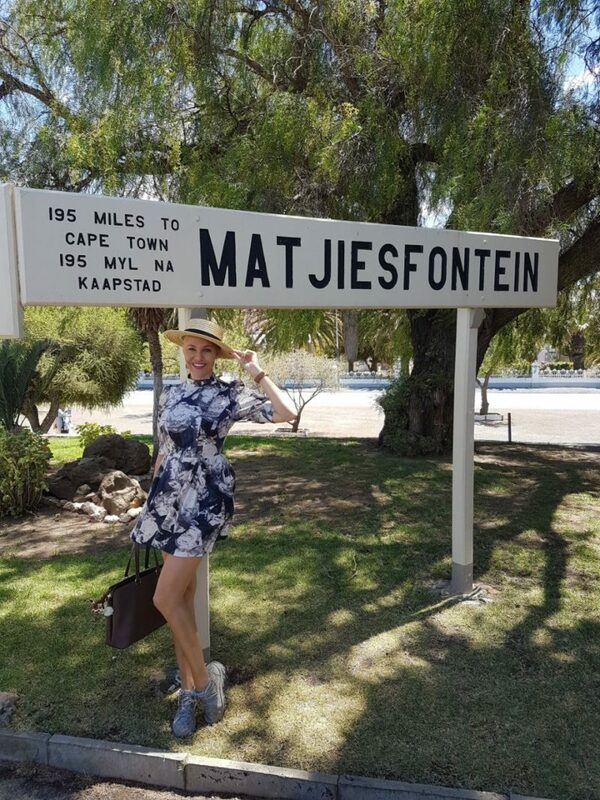 With stops along the way to explore Kimberly and Matjiesfontein. The train also makes a brief stop just before Kamfers dam, where a flock of at least 20 000 lesser flamingos can be spotted with the possible sighting of buck and other wildlife. Before we left, Mr Vos had briefed us about the delays mentioning that this is a problem with transnet and not Rovos Rail. 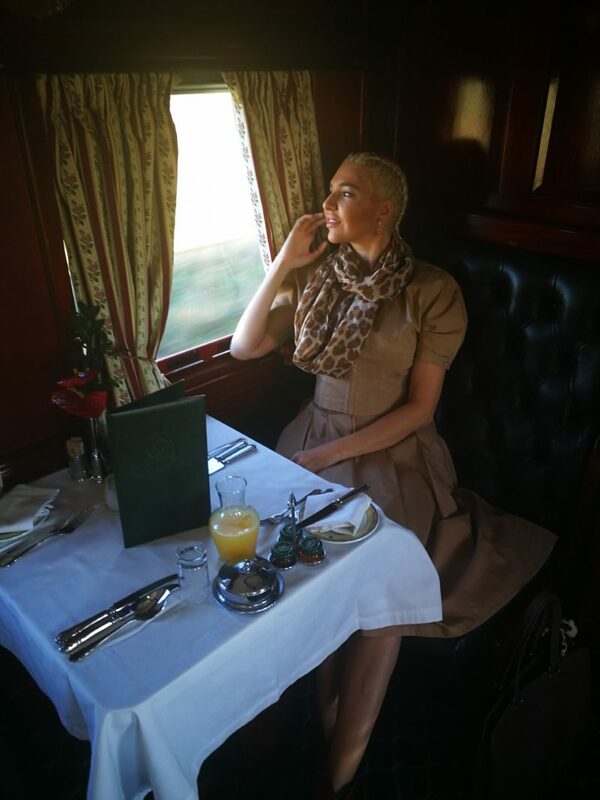 With normal car travel, there always seems to be a rush to get to a destination but onboard the Rovos Rail, these delays didn’t seem to matter. We were in no rush to get anywhere and enjoyed our time onboard, taking in the beautiful ever changing South African landscape. 1. Royal Suites: each take up half a carriage, are spacious and elegant, with private lounge area and full bathroom with Victorian bath and separate shower. 2. Deluxe Suites: also accommodate two passengers in either twin or double beds and have a lounge area and en-suite bathroom with shower. 3. Pullman Suites: have the identical bathroom to that of the Deluxe Suites , with smaller bedroom, with a one-up one-down bed for twin requirements or a double bed for couples. During the day this can be converted into a comfortable couch. enough space for six large suitcases. These can be stored on the overhead luggage rack or under the bed. 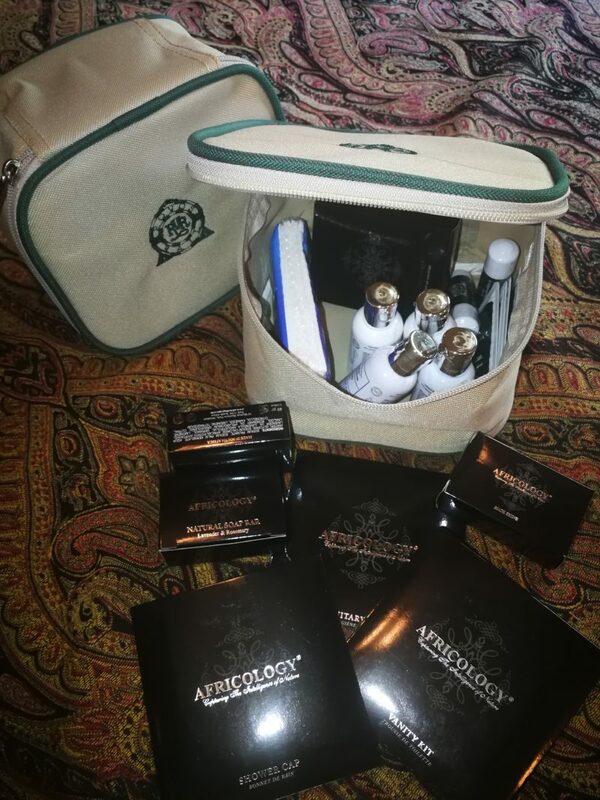 amenities: soap (25g), tissues, shampoo (60ml), conditioner (60ml), bath and shower gel (60ml), hand and body lotion (60ml), lip balm (4.8g), sun cream SPF30 (8ml), insect repellent gel (8ml), round cotton wool, ear buds, a shoe mit, nail file, small sewing kit and a shower cap. At the last minute I had read about the dress code, and quickly raced to add items to my luggage. For daytime attire on the train, we were to dress smart casual. Evening attire is more formal – for the gentlemen a jacket and tie is a minimum requirement while for ladies cocktail/evening dresses or suits. Comfortable shoes as well as comfortable clothes and a hat is recommended for off-train excursions. 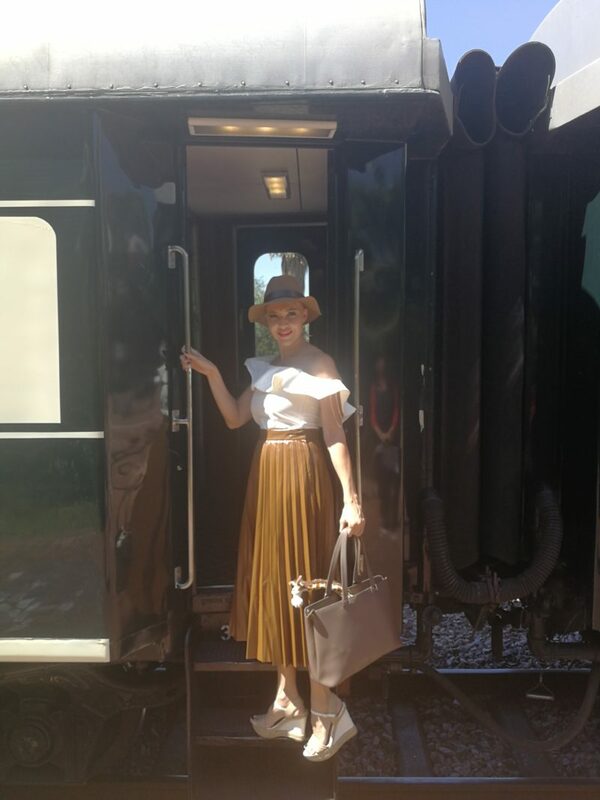 This was a 5 star affair, in a dinning car that dates back to the earliest part of the 20th century, with a corsage pinned onto guests adding a touch of elegance and sheer splendour. 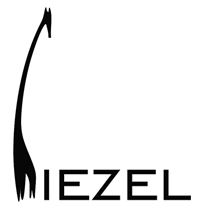 Lunch and dinner is paired with the best of South African wines and cheese to end off each meal. The food was incredible, and I was blown away with the small kitchen and how they managed to cook incredible 5 course meals for the 70+ guests onboard. Breakfast is served between 7am and 10am and afternoon tea at 16:30 . The train caters for all dietary requirements provided you let them know before the time. Overall an incredible experience, which should be on everyones travel bucket list. We are already looking to book our next adventure with Rovos Rail. 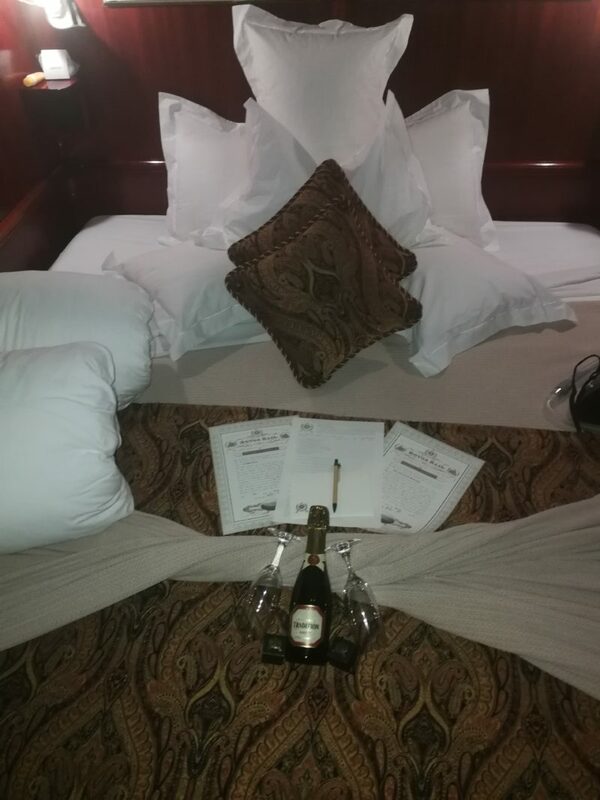 For more information on booking a truly luxurious journey with Rovos Rail, visit the Rovos Website.